Crafts are so much fun! Did you know that crafts are useful for preschoolers too? 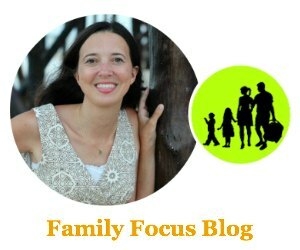 As Colorific puts it, “Craft projects involve a mix of manipulation, identifying shapes and sizes, moulding, drawing, painting, gluing, cutting, creating and making things which all help developing children’s fine motor skills.” Crafts are also fantastic for encouraging creativity and imagination. 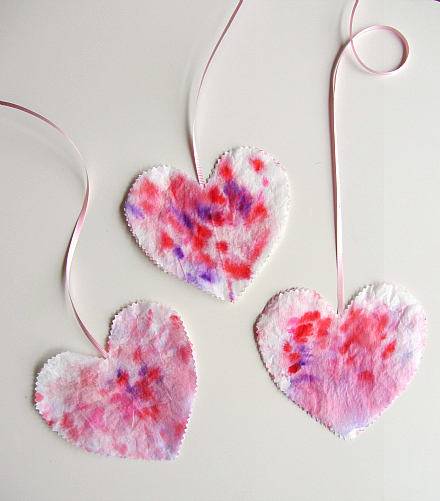 These 10 fun Valentine’s Day Crafts preschoolers will enjoy are all simple but super cute. 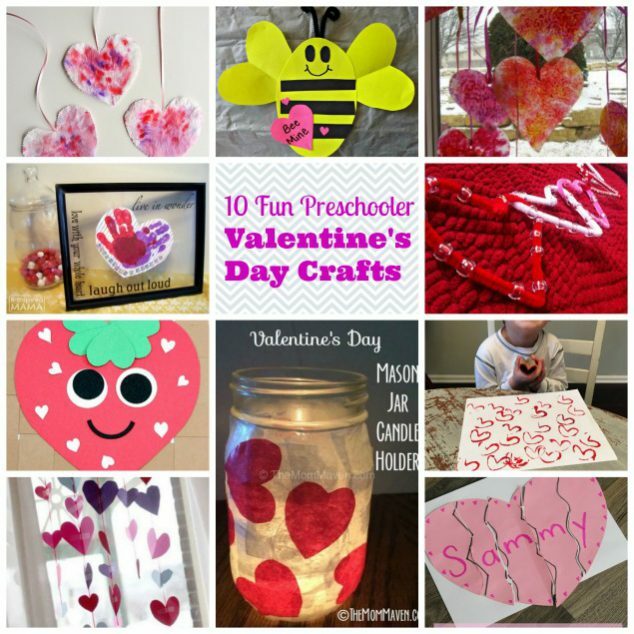 For each of the Valentine’s Day Crafts for Preschoolers, I will provide a bit or information and a link back to the full craft instructions. 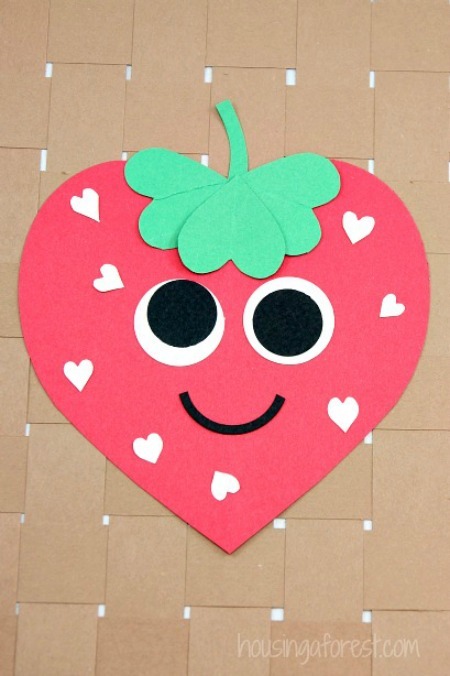 This adorable heart strawberry craft doesn’t need any unusual supplies and it is so cute your preschooler is sure to love it. Can be used as wall decor or as a homemade Valentine. 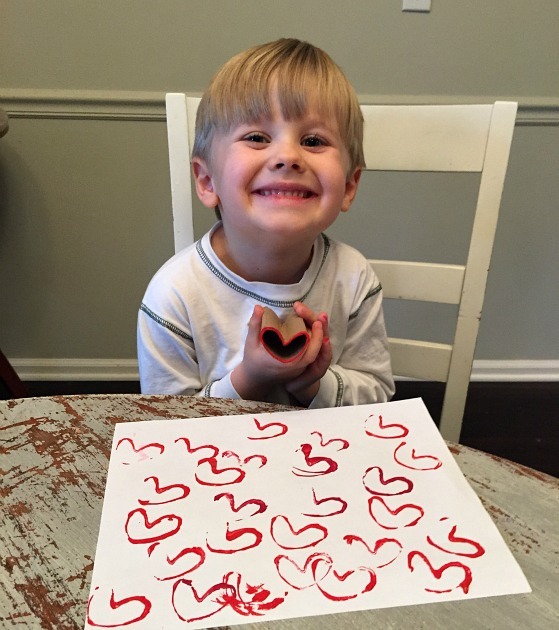 This super easy craft lets preschoolers make their own heart stamp out of an old toilet paper tube. They can use the art stamp to create works of art or homemade Valentine’s Day cards. 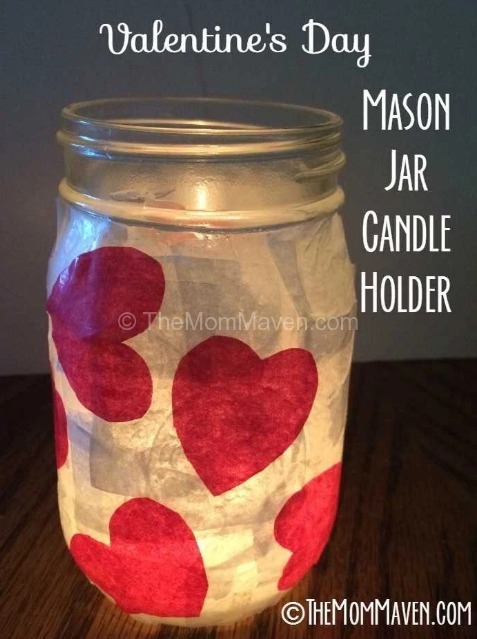 This cute Valentine’s Day mason jar craft is easy and involves glue so the kids will have so much fun! You can use the jar as decor to hold dried flowers or use it as a candle holder. 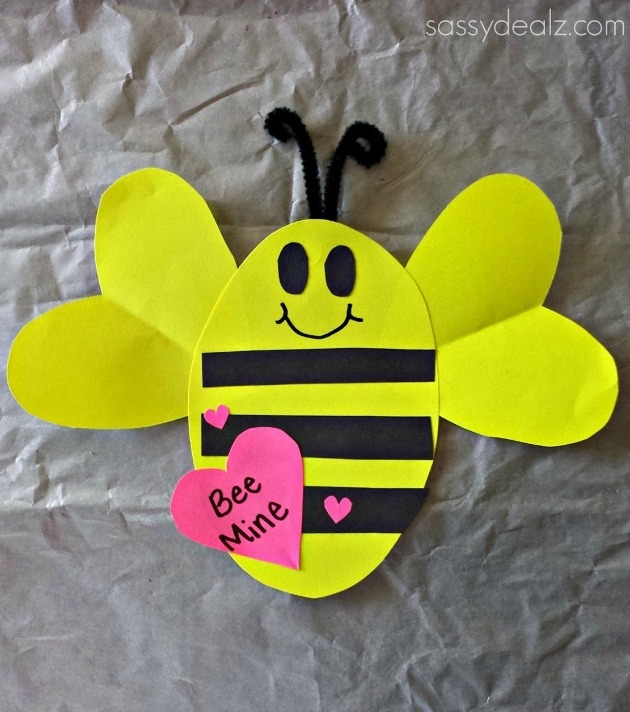 This Valentine’s Day Craft for Preschoolers is just adorable and will help them come to love bees which are so important to pollination in our food supply. So easy but so cute. This fun craft is simple but involves a fun twist of using an eye dropper to paint/decorate. Your preschoolers will love it. They printed each hand onto the heart. 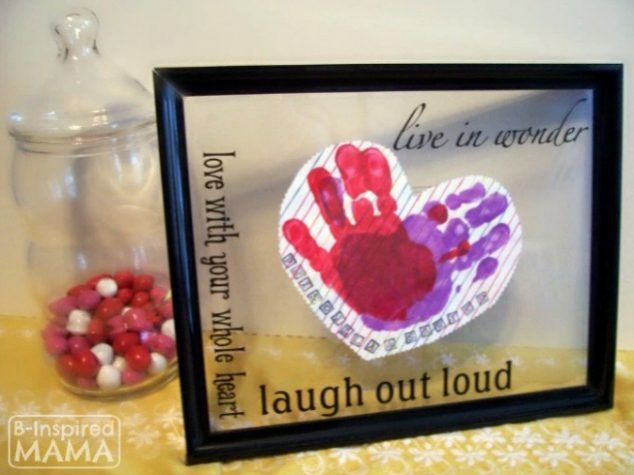 Preschools will just love dipping their hands into paint for this fun craft. This craft will require you to a tiny bit of ironing but the rest is all fun for the preschoolers to do themselves. Wax melting is a fun learning activity for preschoolers to see how the colors mix and that solids can melt. 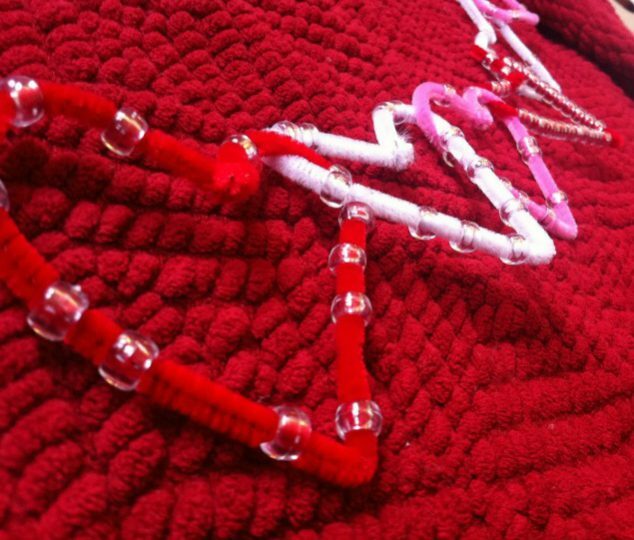 Another fabulous crafting material is employed for this Valentine’s Day Craft Preschoolers will love- pipecleaners! So easy and adorable your kids will love it. This garland is so easy and so cute. It makes adorable window decor and you may want to keep it up year round! This is a great puzzle craft one for them to decorate. Then they can practice spelling, cutting, and reassembling. 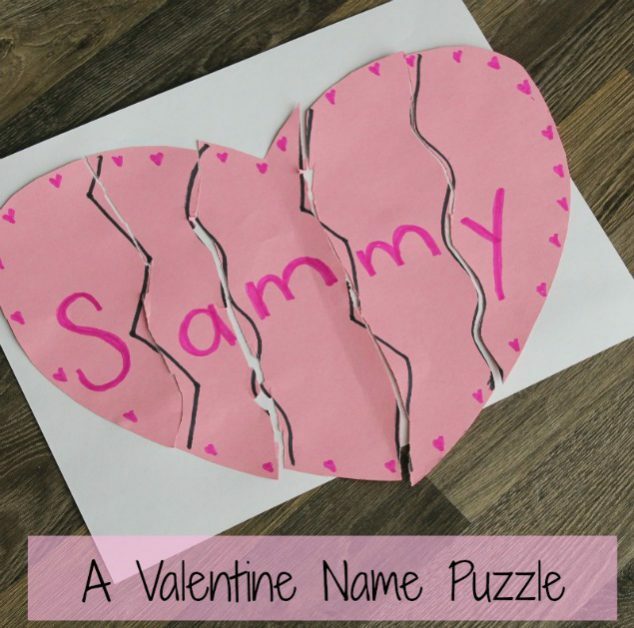 I hope you have enjoyed these fun Valentine’s Day Crafts preschoolers will love. Which one do you think you will try with your chid? 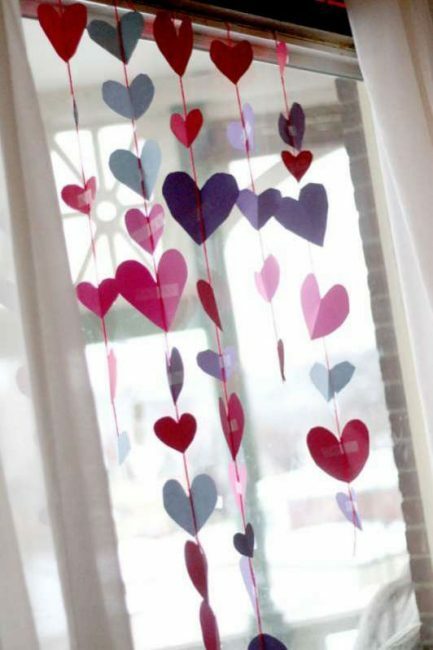 Pinned this cute roundup of Valentine’s Day crafts for kids. 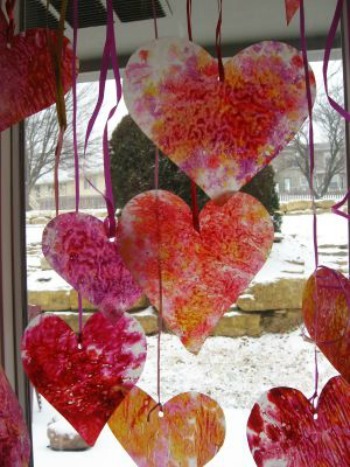 I especially love the garland and the paint stamp hearts craft. Thanks for sharing!